Thirty-five-year-old folklorist and amateur martial artist Bess Gray is a single woman living in Washington, D.C., who falls in love with Rory, a charming Irish musician with a secret. When Rory asks her to marry him, Bess, who had nearly given up hope of marrying at all, is horrified to find that he has eight ex-wives. She sets out on a cross-country journey with the intention, unbeknownst to Rory, of seeking them out. In alternating chapters, Rory ruminates about each of his ex-wives and how he has become a serial spouse. Along for the ride are Bess’s grandparents, who’ve been married sixty-five years and fight constantly; her gay neighbor (himself an utter mystery); a shar-pei named Stella; and a mannequin named Peace. Will Bess say yes to Rory? 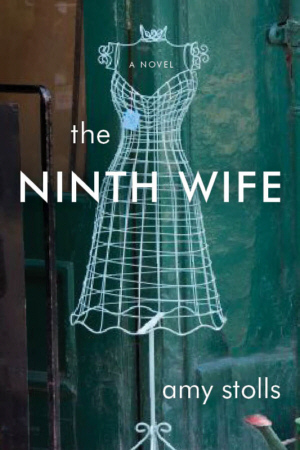 Would a sane woman really consider becoming any man’s ninth wife?